The Roman Catholic Church is the largest of the three major branches of Christianity, with nearly one billion Roman Catholics worldwide. The leader of the church, the Bishop of Rome or the pope, is one of the most powerful men alive. More than 260 people have held the office of the papacy since the times of St. Peter, who is traditionally viewed as the first pope. During the ensuing 2,000 years, the pope and the papacy have been a source of curiosity and fascination to the world. Scandal, controversy, and conspiracy theories have always surrounded the church. Here, we’ll examine some interesting moments, odd traditions, and unusual facts about the pope and the papacy. First up is one of the most bizarre moments in papal history. 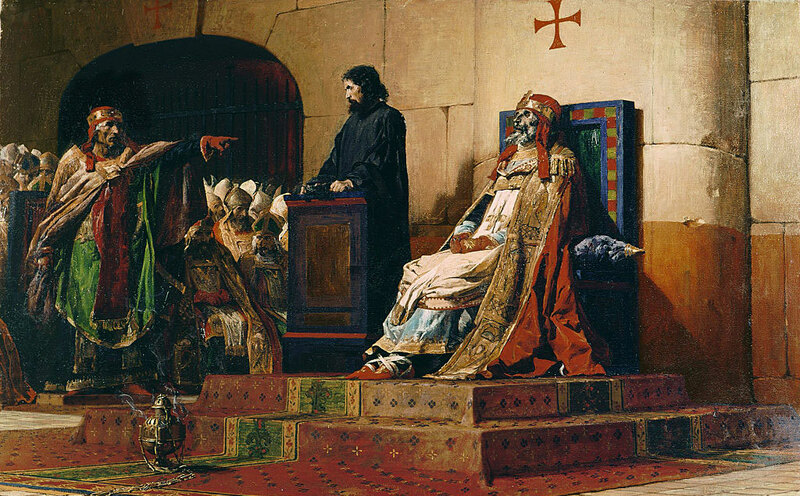 One of the most macabre events in the history of the papacy occurred in 897. 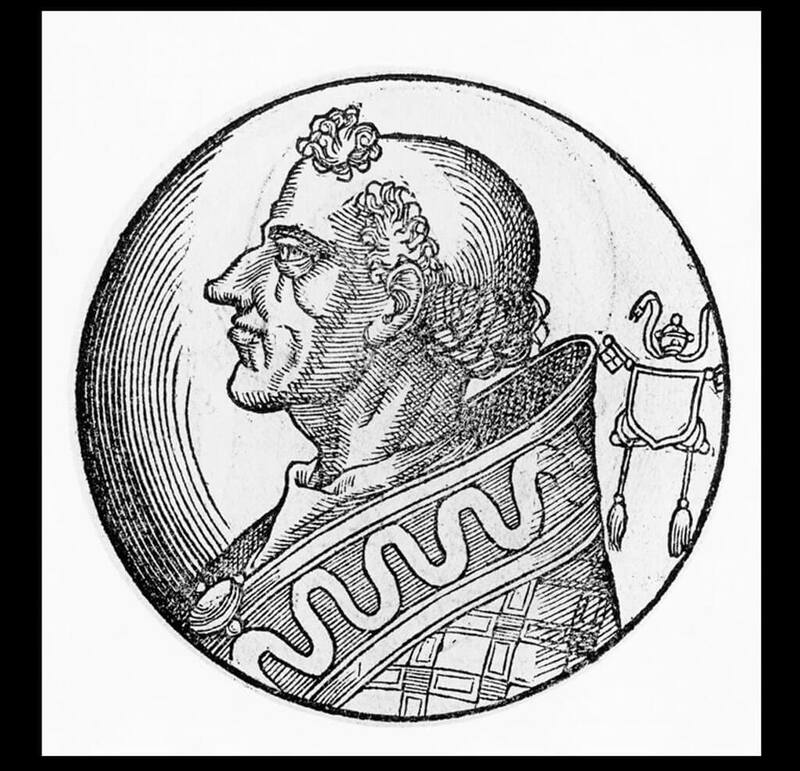 Pope Stephen VI made the claim that Pope Formosus (who had been the pontiff two leaders earlier) had committed perjury and had acceded to the papacy illegally. Stephen demanded that Formosus be put on trial for the accusations. But there was one small hitch — Formosus had died a year earlier. Stephen didn’t see this as a problem. He had Formosus’ remains exhumed and brought to court. A deacon was selected to answer for Formosus, whose corpse was propped up on a throne during the trial. 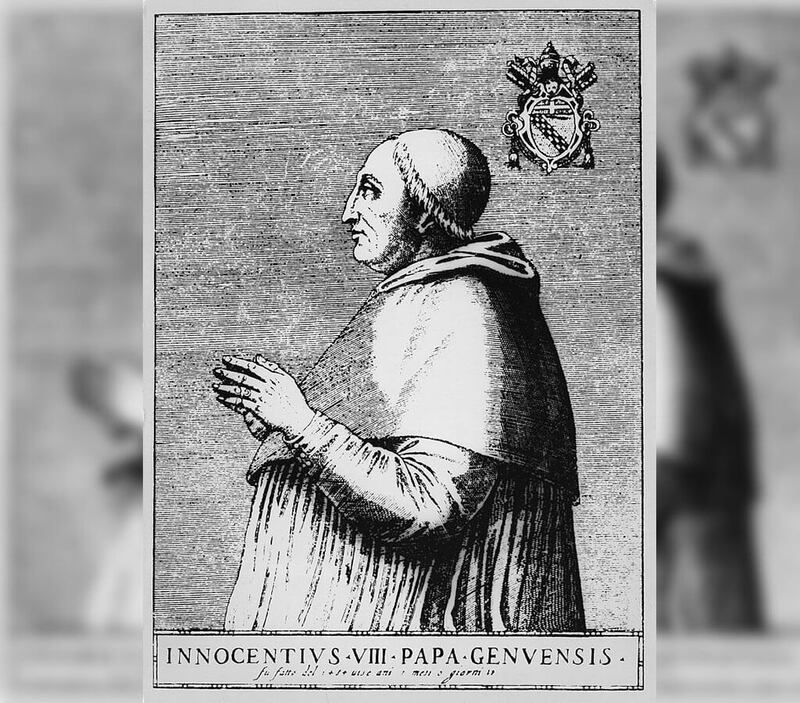 The former pontiff was deemed guilty and as a result, his papacy retroactively declared null. The papal vestments were torn off his body and three of his fingers were severed before he was buried in a graveyard for foreigners. 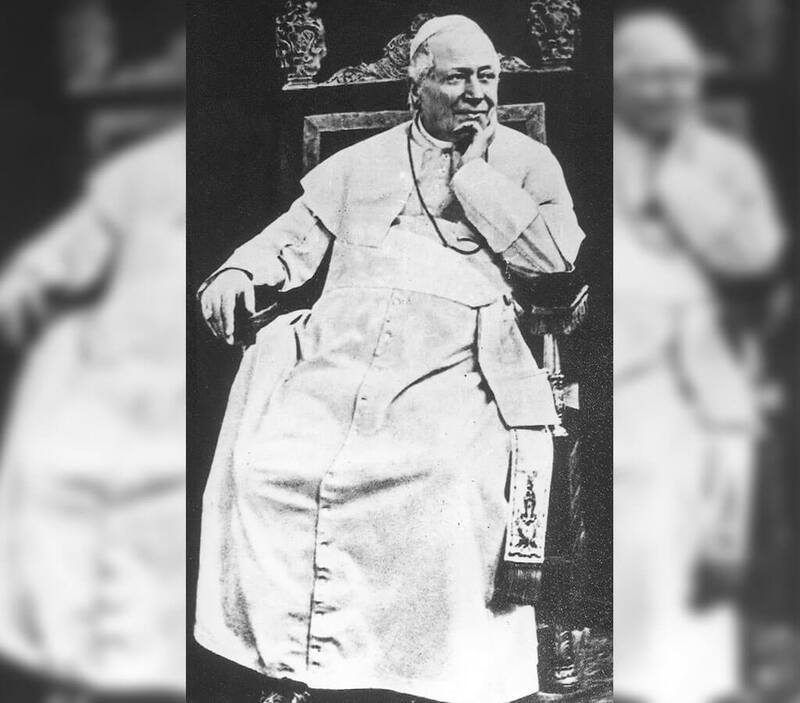 In addition to holding the record for the longest papacy of any pope since St. Peter, St. Pius IX has another special designation: he was the first pope ever to be photographed. The introduction of photography caused a controversy within the Church, which had been a patron of fine arts for centuries. But did this new medium count as art? Although some of his cardinals disagreed, Pius IX decided that photography did indeed count as an art form and allowed a photograph to be made of himself. The exact year this photo was taken is unknown but it was sometime around 1850. There are only seven women in the world who are allowed to wear white when meeting with the pope in an official capacity — read on to find out who they are. 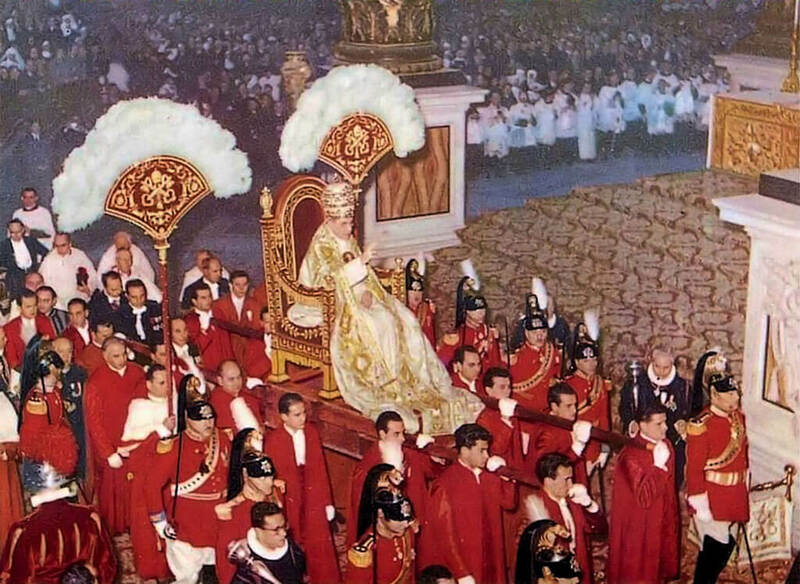 Before the motorized popemobile was developed, the bishop of Rome was carried on a sedia gestatoria, also known as a gestatorial chair. This was an elaborate and richly decorated ceremonial throne consisting of a silk-covered armchair set atop long rods that were used by twelve footmen to carry on their shoulders. The sedia gestatoria was used for nearly a millennium. The last pope to use it was John Paul I, although he was initially opposed to it. No pope after him opted to travel this way, and the practice was discontinued in 1978. Coming up later: learn the nickname Pope Francis has given to the popemobile. A dove changed world history when it landed on a man’s head after Pope Anteros died in 236 A.D. That man was named Fabian and he was one of many bystanders who had traveled to Rome to grieve the pope’s death. Although he was not even a candidate for the papacy, Fabian was named the next Bishop of Rome because of the bird’s miraculous landing during the process to elect a replacement for the recently-deceased pope. Despite his iffy qualifications, Fabian was pretty good at being pope and held the position for 14 years, until his death in 250. He is now recognized as a saint by the Catholic Church, and there is a Fabian’s feast day in his honor each January 20. So, just who IS eligible to become Pope? A non-cardinal hasn’t been selected as pope since Urban VI was chosen in 1378. His papacy was dominated by turmoil and conflict, due to a rift in the Catholic Church called the Papal Schism. 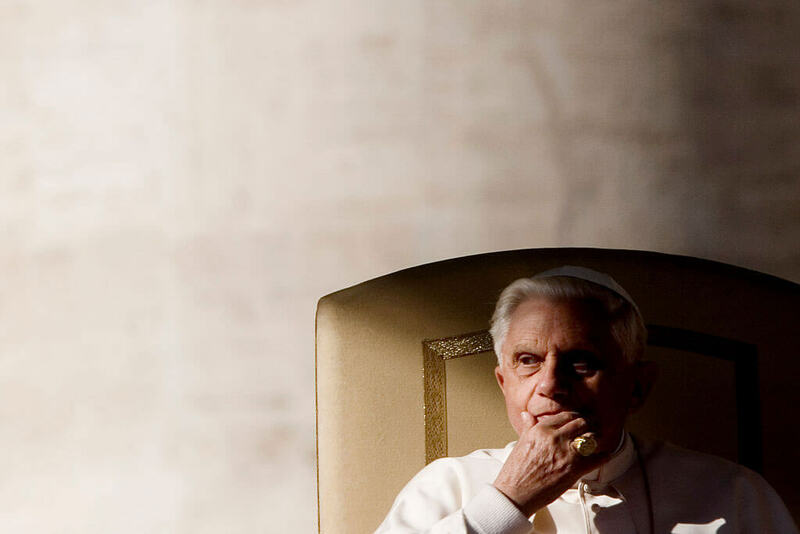 On February 11, 2013, the Vatican made a rare announcement: Pope Benedict XVI was resigning his position. The news stunned the world. In recent history, all popes have held the position until their deaths. In fact, the last time a pope had resigned was in 1415, when Gregory XII stepped down in order to repair a rift in the Catholic Church. Prior to this politically necessary resignation, the last time the decision to step down had been made willingly was by Pope Celestine V in 1294. Next: how popes are chosen. When Pope Benedict XVI stepped down, the centuries-old process of electing a new pope was set into motion. 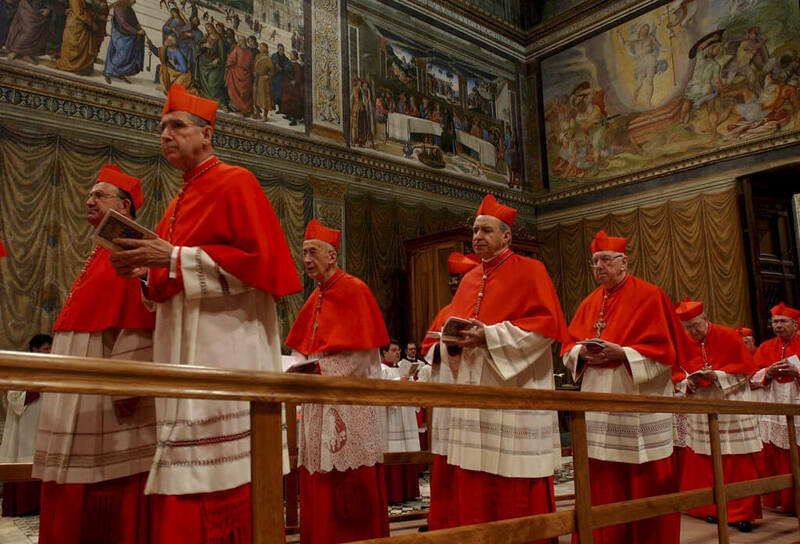 When there is a papal vacancy, the church’s senior officials (called the College of Cardinals), assemble at the Vatican in preparation for the Papal Election. This meeting is known as a conclave. During the conclave, all cardinals remain inside the Vatican and are strictly banned from having any contact at all with the outside world. Conclave can take days, weeks, or even years — as happened in the 13th century. A two-thirds supermajority vote is required to elect the new pope. In the photo above, cardinals file into the conclave to select a new Pope after John Paul II’s death. During a conclave, Catholics around the globe keep their eyes on a tiny chimney peeking from the roof of the Sistine Chapel. This chimney is the only way that Cardinals can communicate with the outside world. On each day of the conclave, Cardinals participate in four rounds of voting. After every round, the ballots are burned in a special stove near the chapel. If the vote has been unsuccessful, meaning that a new pope wasn’t selected, the Cardinals add in chemicals to turn the smoke black. 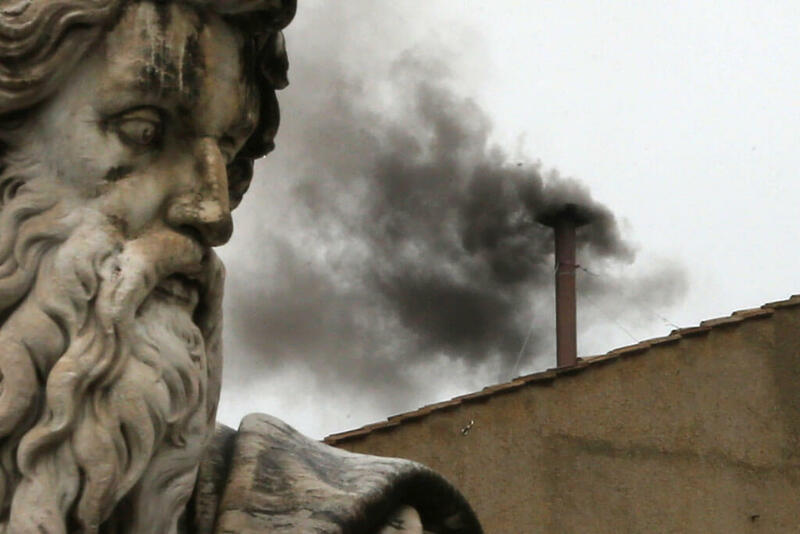 But once the conclave has agreed on a candidate, a different chemical is burned that results in white smoke – signaling to the waiting world that they’ve elected a new Bishop of Rome. Paul VI became the first pope to fly in 1964, when he traveled to the Holy Land. Since then, popes have been frequent travelers. When the pope flies out of Italy it is always on the Italian airline Alitalia. The return trip is usually made with a carrier based in the visited country. 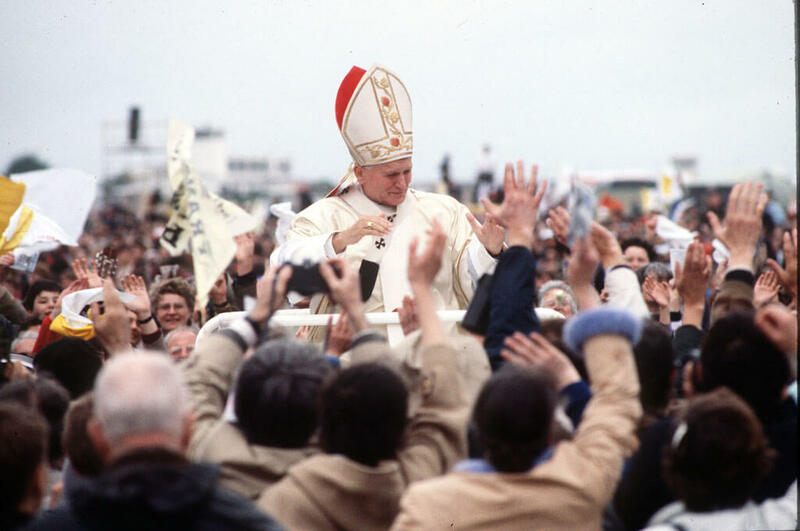 To date, Pope John Paul II racked up the most air miles (725,000) during his travels to nearly two-thirds of the globe’s countries. But Pope Francis is quickly catching up, having already been to five continents since he assumed the position in 2013. 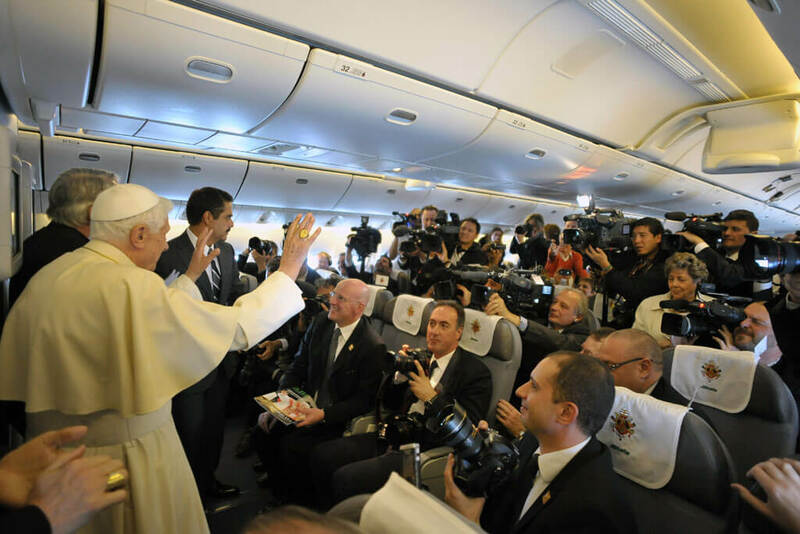 More about papal air travel coming up — find out what kind of perks the pope gets while flying! Vatican City, the home of the pope and of the Roman Catholic Church, is actually an independent city-state within Rome, Italy. At only 110 acres, it’s far smaller than Central Park in New York City. In fact, it’s the smallest country in the world, in terms of both population and size. The city-state, officially founded in 1929, is governed as a monarchy and ruled by the pope. 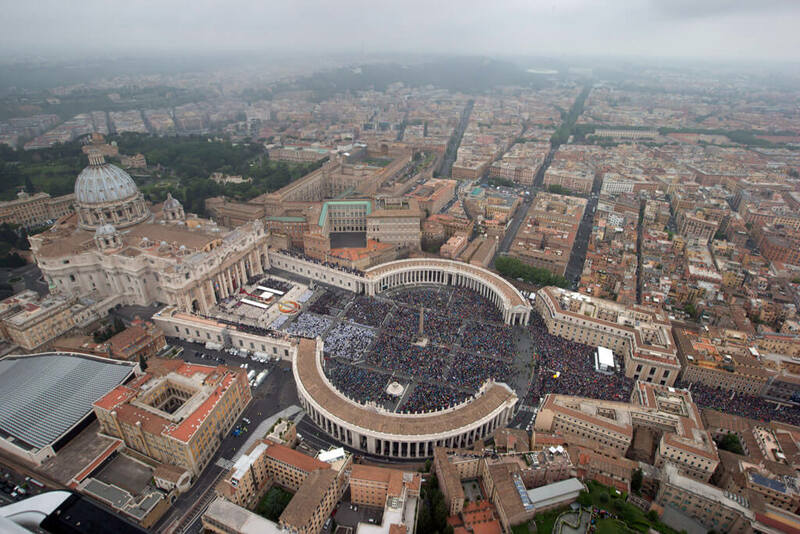 It’s home to cultural sites such as the Vatican Museums, the Sistine Chapel, and St. Peter’s Basilica. While the church does not currently impose a mandatory dress code, there is a recommended protocol that anyone meeting with the pope should follow. Women are to wear a long black lace dress with long sleeves and a high collar, topped with a black veil. Shoes should be closed-toe, and jewelry should be low-key. 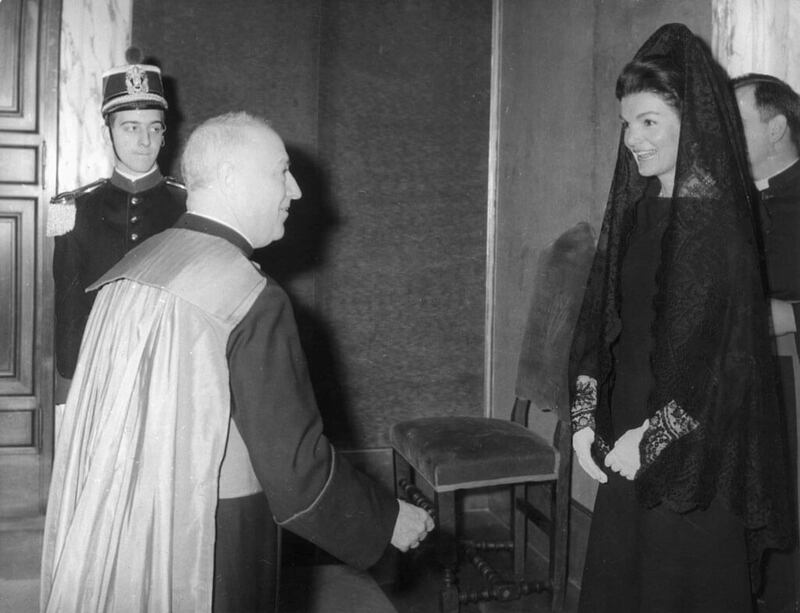 Jackie Kennedy is pictured above in a black dress as she arrived to meet with Pope Paul VI in 1966. In the past, men were expected to wear a coat with tails. But in modern times, any dark suit with a conservative tie is considered acceptable. Visitors can also choose to wear the traditional dress from their homelands. Only 7 women in the world can wear white to officially meet with the Pope. Find out who they are next. Le privilège du blanc, meaning "the privilege of white," allows certain royal women to wear white rather than the traditional black when meeting with the pope. To qualify, the reigning woman must be a Catholic in good public standing or be married to another Catholic monarch. The pope may also grant the right at his discretion. White may only be worn to certain types of events. There are seven living women with the privilege: Queen Sofía of Spain, Queen Paola of the Belgians, The Grand Duchess of Luxembourg, Charlene The Princess of Monaco, The Princess of Naples, The Queen of Spain, and The Queen of the Belgians. 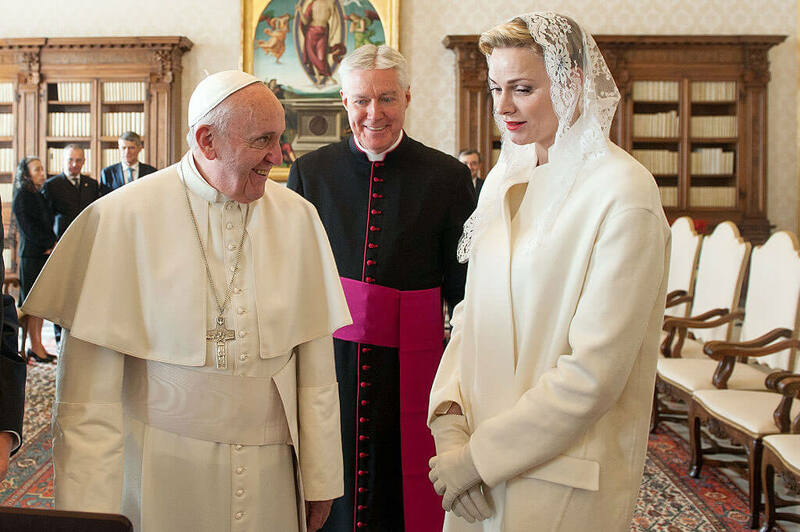 Pictured above is Princess Charlene of Monaco, meeting with Pope Francis in 2016. Any flight the pope is on is referred to as "Shepherd One" and has the flight number AZ4000. Shepherd One is nothing like Air Force One, however. The Vatican doesn’t even own a plane – a commercial flight is always charted for the pope. Air travel isn’t particularly luxurious for the pope. Although airlines used to pull out all the stops and give swanky gifts to the entourage of reporters that accompanies the bishop, they’ve toned that down and generally just provide cloth headrests embroidered with the papal seal. The pope himself, at least, is reserved a seat in first class when he travels. 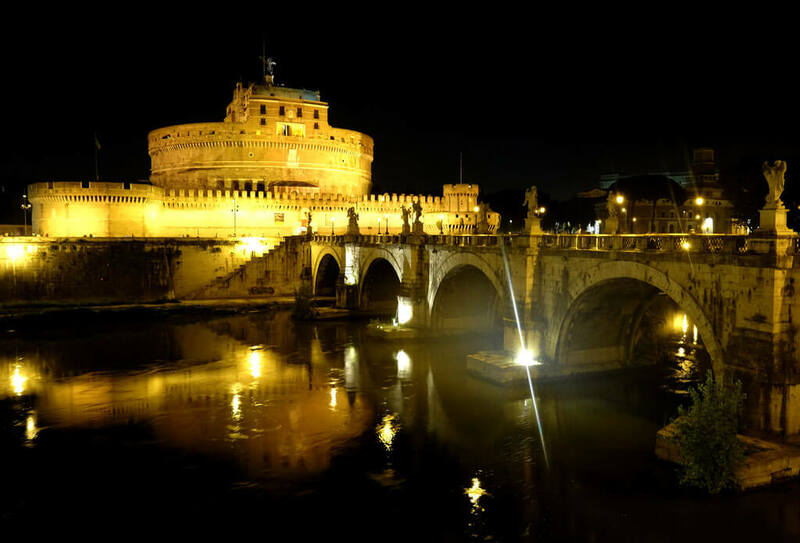 In 1277, an elevated and covered passageway called the Passetto di Borgo was built, linking the Vatican with a fortified castle on the other side of the Tiber River. There have been several instances when popes were forced to escape the Vatican through the secret passageway. Pope Clement VII was one of the escapees. In 1527 he fled the city during the sack of Rome. While Holy Roman Emperor Charles V’s forces pillaged the city, murdering priests and nuns along the way, Clement was able to reach the castle safely. Sadly, 147 of his men were killed in the attack. The pope has a variety of automobiles to choose from when he ventures out to public events. The specially-designed vehicles he travels in are called "popemobiles," and there have been quite a few of them over the years. Many consider the first official one to have been the Mercedes-Benz Nürburg 460 Pullman that was gifted to Pope Pius XI by the German car manufacturer in 1930. Some popemobiles allow the pontiff to sit while others are designed so he can stand and face the crowds. Vehicles are selected on a per-event basis, depending on the security needs, distance to be traveled, and comfort. 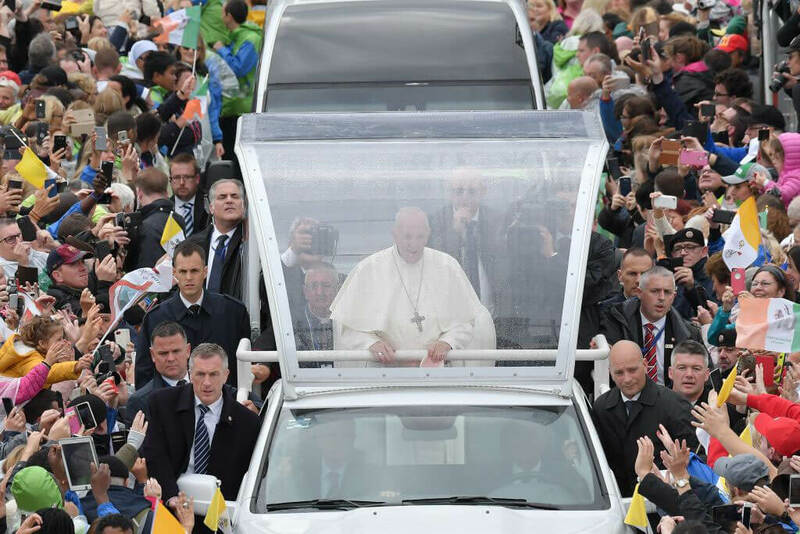 Fun fact: Pope Francis once likened riding in the popemobile to being in "a sardine can." Pope John Paul II’s funeral on April 8, 2005, was the largest gathering of heads of state in history (not including the United Nations). The next-largest assembly had been at Winston Churchill’s 1965 funeral. In attendance at John Paul II’s service were four sitting kings, five queens, more than seventy prime ministers and presidents, and more than a dozen leaders of other religions. 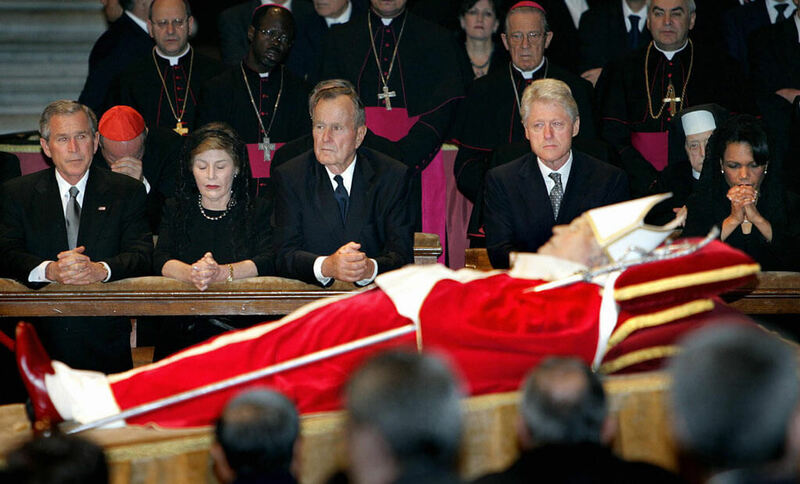 In a departure from modern tradition, the pope’s body was not embalmed before it was put on display, which could be seen in the discoloration of his skin. Mourners were granted admission in order to pray before it. 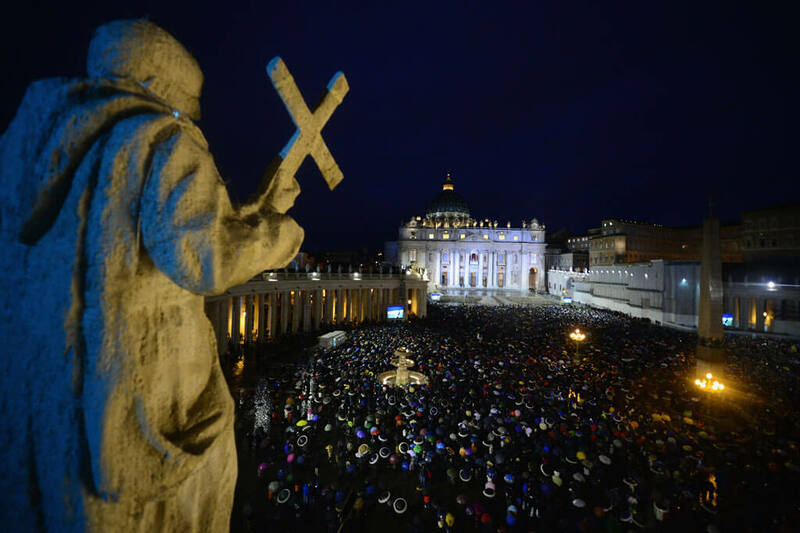 It’s believed that more than four million faithful gathered just in the city of Rome to honor John Paul II. Most popes in modern history have been on the older side, with the current one beginning his papacy at age 76. But there have also been some young popes throughout history. Three were even younger than 25 when they held the title Bishop of Rome! Pope Benedict IX was just 20 when he was first elected in 1032. Pope John XI was also 20 years old when he began his reign in 931. 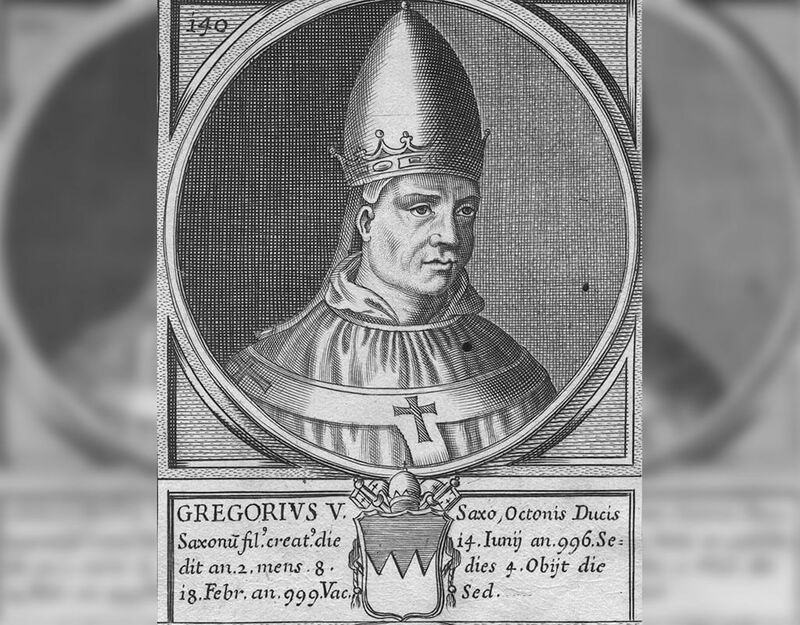 And Pope Gregory V was elected in 996, when he was 24 years old. Early in his reign, Pope Francis was viewed by many as a breath of fresh air for the Catholic Church’s reputation, which has long been sullied with child abuse scandals. Francis’ empathy and love for people of all walks of life inspired hope in others and earned him admiration throughout the world. 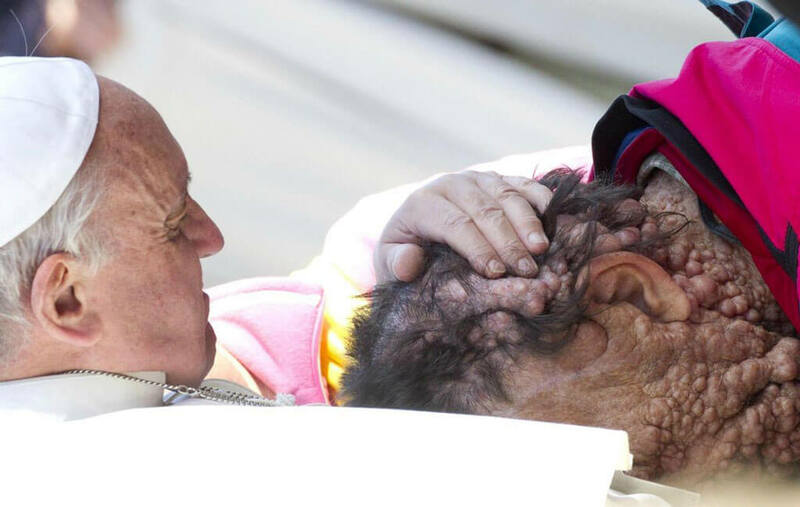 One of the most definitive images depicting Francis’ compassion is the photo above. The pope didn’t hesitate to embrace this man who is afflicted with a genetic skin disease. In an interview afterward, the man expressed how much it meant to him to be hugged by Francis: "I’m not contagious, but (the pope) didn’t know that. But he did it: He caressed my whole face and while he was doing it, I felt only love," he said. Although it’s not mandatory, every pope since Marcellus II (1555) has selected a different name once he assumed his new role. As William Portier, chair of Catholic theology at the University of Dayton, explains, "they feel they’ve been chosen to do this very weighty job and they need a name that will sort of help them and inspire them." In 533, Mercurius, pictured above, became the first pope to change his name. He didn’t believe it was proper for the leader of the Catholic Church to be named after a pagan god, so he chose the name John II. Pope John Paul I is an example of someone who chose to honor former popes (John and Paul) with his new name. They had led the church through a volatile period in the 1960s and John Paul wanted to indicate that he’d continue their work. The pope with the shortest reign was Urban VII. He had only been pope for 12 days when he died of malaria in 1590. He was buried in the Vatican but his remains were later relocated to the church of S. Maria Sopra Minerva. The longest-sitting pope was the first one, St. Peter. It’s believed that his term lasted 35 years, from the time of Jesus’ death to his own crucifixion in his 60th decade. Pope Pius reigned for 31 years, and John Paul II for 26 years. 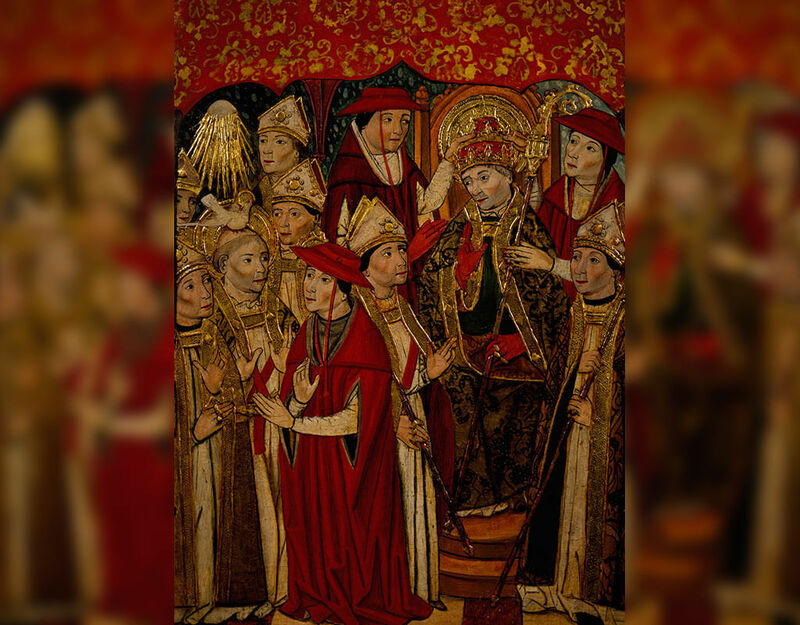 Celibacy has been a mainstay of the Catholic priesthood since 1139, but there have been several popes throughout history who did not abstain from physical relations. Some were married (before or during their time as pope) and others engaged in sexual activity outside of marriage. Some popes have even fathered illegitimate children. Public interest in this subject is strong enough that there are multiple websites on the subject, with some outlining exactly which popes are rumored to have avoided celibacy. As for the current stance on celibacy within the priesthood, Pope Francis has said, "For the moment, I am in favor of maintaining celibacy, with all its pros and cons, because we have ten centuries of good experiences rather than failures."